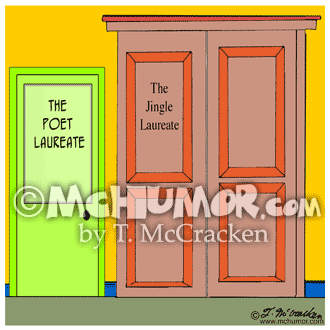 Poetry Cartoon 7693: A modest looking door for the "Poet Laureate's" office is next to a very posh door leading to the "Jingle Laureate's" office. 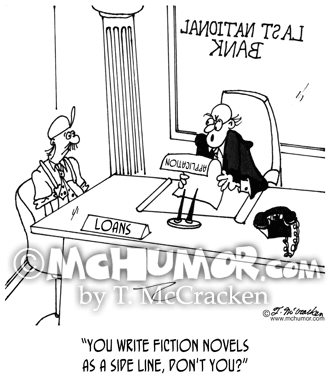 Loan Cartoon 6419: Looking at a man's loan application a banker asks, "You write fiction novels as a side line, don't you?" 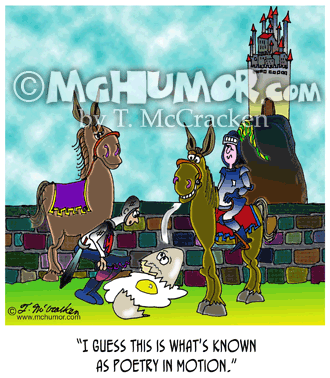 Poetry Cartoon 3010: Watching Humpty Dumpty fall off the wall one of the king's men says, "I guess this is what's known as poetry in motion." 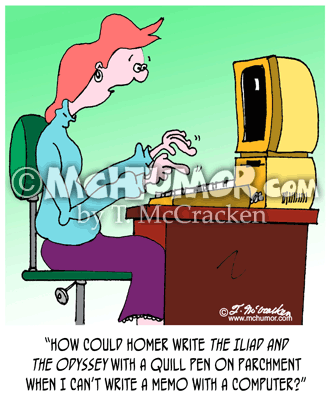 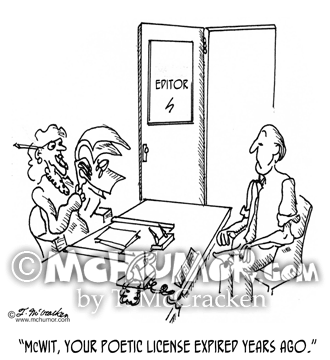 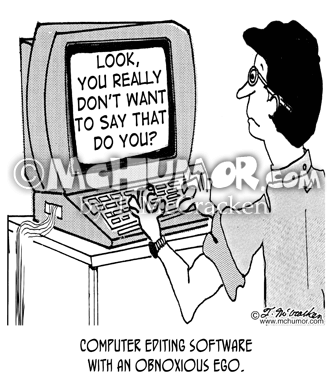 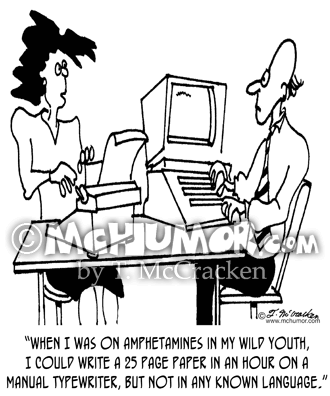 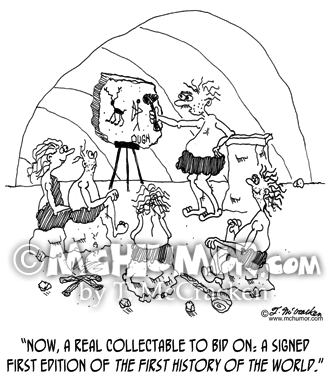 Poetry Cartoon 1360: An editor saying to a man, "McWit, your poetic license expired years ago."